John Parsonage, CEO of specialist supplier Felt and former Head of Casino at Skybet, says online operators who take their lead from the land-based industry have a lot to gain when it comes to table games. Blackjack and roulette have been delivering steady revenue streams to online operators since casinos began appearing on our desktop devices at the end of the last century. While occasional graphic upgrades freshened things up, the game engines have largely remained the same. In the eyes of many, it wasn’t something that was broken, so it didn’t need fixing. On the other hand, the slots sector has required constant innovation over the last 20 years in order to maintain customer interest. Branded slots in particular help recruit new players, who now have monthly game launches to stimulate them. 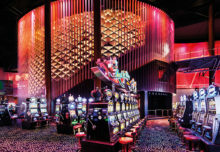 Understandably, slots have monopolised the attention of operators and their suppliers. Thanks to recent developments, however, the table games sector can now provide these player acquisition and retention advantages too. Over the last seven or eight years a new generation of table games offering different features and benefits have spread like wildfire in casinos across North America and into Europe. This evolution is also now happening online, prompted for the most part by advances in technology and mobile devices. Games built in HTML5 with authentic real-life casino attributes and a modern, clean, and functional presentation sit well alongside the new wave of 3D and video slots. Games like Lucky Lucky, Buster Blackjack and Three Card Hold’em provide players with enhanced win opportunities from low stakes bets. Others, like Texas Hold ‘em Bonus Poker, feature progressive jackpots familiar to slots players, while Double Ball Roulette offers odds of up to 1200/1. For operators, these games significantly increase their return over standard table games due to the higher House edge. They also regularly provide highly-appealing and attention-grabbing success stories to promote to new and existing players. Those players could be disenchanted existing table gamers, slots players, due to the similarity of jackpot-style opportunities, or complete newcomers looking for entertainment on their mobile devices. The beauty of these games, which are now available from Felt, for online operators in these risk-averse times is that they are proven performers. They have been through rigorous testing and approvals in the most demanding of all environments: the North American land-based casino market. They are also familiar to a large number of people who are increasingly inclined to snack on a game on their phones whilst going about their daily business. As a result, there is no leap of faith required, regulation permitting, to add these to the product portfolio of your online casino, no matter where your customer-base is located. Forward-thinking operators like Unibet, whom we now supply with eleven blackjack, roulette, and poker-based games, are leading the charge online. But others too could easily enhance their existing revenue streams, as well as developing new ones just by reconsidering table games. There is an untapped market of avid players out there who are currently starved of quality content and suppliers like Felt are well-placed to provide it.